MMA fighter Conor McGregor announced he was retiring from the sport in a tweet early Tuesday morning. "I’ve decided to retire from the sport formally known as “Mixed Martial Art” today," McGregor said. "I wish all my old colleagues well going forward in competition. I now join my former partners on this venture, already in retirement. Proper Pina Coladas on me fellas!" McGregor, who&apos;s from Ireland, is the former UFC featherweight and lightweight champion and one of the biggest draws in MMA. He returned to UFC last fall after a hiatus during which he made his boxing debut, a loss to Floyd Mayweather. The announcement came after the 30-year-old UFC star was arrested in Florida earlier Monday for allegedly smashing a fan&apos;s phone outside a hotel in Miami Beach, according to police. McGregor, who has not fought since early October, has garnered a reputation for his rowdy behavior. He was arrested last August for allegedly shattering the window of a bus that was filled with UFC fighters in New York City. 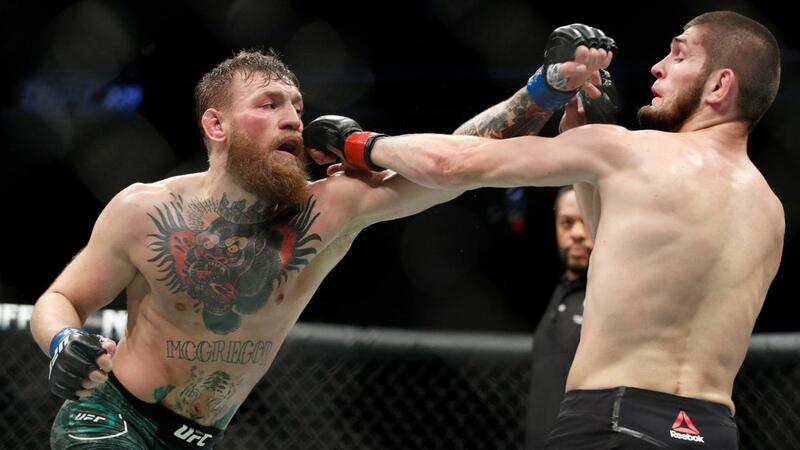 Earlier this year, he received a suspension and fine for a brawl that unfolded after an Oct. 6 fight in Las Vegas against UFC lightweight champion Khabib Nurmagomedov. If his retirement announcement is true this time, the UFC champ will have finished with a record of 21 wins and 4 losses, according to Fox Sports.